On Friday 29 March, Prof. J.Th.M. 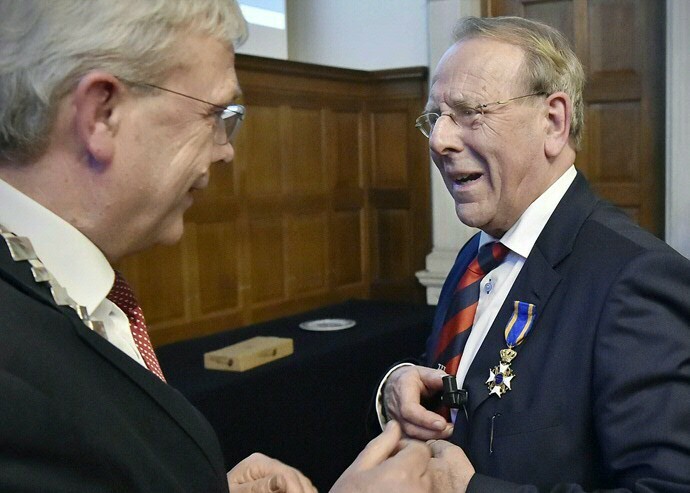 De Hosson has been awarded the Royal Decoration of Knight of the Order of the Dutch Lion. He was presented with this decoration by acting Mayor Koos Wiersma of the Westerkwartier municipality directly after his valedictory lecture in the Aula of the Academy Building of the University of Groningen.